We are working with experienced professors who performed NUSS method on Pektus Ekskavatum disease over 500 patients since 2004. The Ravitch operation, which was the classic method for years, left its place to NUSS method nowadays. Surgeries perform on A class hospitals. We have %97.3 satisfaction rate on patients who underwent surgery. It is possible to see healing of deformity at chest area right after the surgery. Pectus excavatum (PE), also known as “funnel chest”, is the most common congenital chest wall anomaly associated with anterior chest wall deformity and depression. 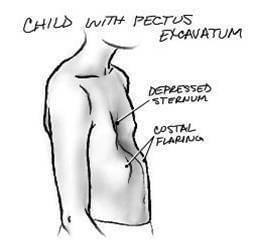 Pectus excavatum occurs in approximately 1 out of 400–1000 children and is three to five times more common in males than females. The majority of the patients with pectus excavatum are candidates for the Nuss procedure. The Nuss technique is perfectly suitable for prepubertal and early pubertal patients because of their chest wall compliance. The chest Haller index is a measurement taken from a CT scan of the chest. Patients with an index greater than 3.2 have a fairly pronounced and severe pectus excavatum and will typically benefit from operative correction. Symptomatic patients with pectus excavatum typically experience occasional episodes of chest pain, shortness of breath with exertion, and decreased exercise tolerance. Many patients with mild to moderate pectus excavatum do not report any significant shortness of breath. The current recommendations support the use of MIRPE in patients aged 5-20 years. The ideal age for undergoing this operation has been established at 8-12 years. Preoperative assessment may include pulmonary function testing (PFT) and CT scan of the chest. The CT scan allows for determination of the preoperative Haller index. Patients with a Haller index greater than 3.2 are considered candidates for the minimally invasive repair. *If you considering NUSS surgery please contact with us. You can reach us on +90 542 345 7585 . Please call for more information. *After leaving hospital, there is 7-10 days accomodation needed. Accomodation does not include our price. If you asked for, we can make reservations at the hotels we work cooperately. Our price does not include flight tickets, hotel accomodation and extra spends at hotel. *We can help our patients who has problems on visa if they defray cost. 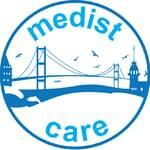 This post has been written by Medistcare International Health Tourism Services and viewed 7491 times.